Get Help, Get Legal, Get Started! We take the guesswork and risk out of becoming legal. You’ll be aware of all your options and the best way to move forward. Some patients receive their cards in about two weeks! We help you navigate the Florida state system, which can be daunting. By providing your existing medical records and qualified condition, we can often certify you in less than 10 days! 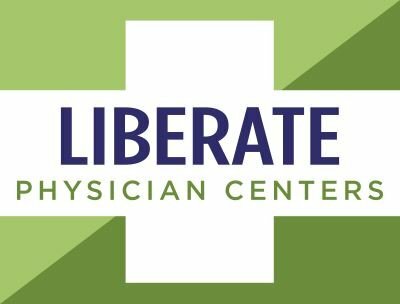 When you join the Liberate family, you receive top quality care and follow-though with your needs, far beyond your certification date. "The staff and doctor at this office are incredibly knowledgeable and so welcoming! Very professional atmosphere as well! You can definitely tell that they are highly educated and want to make a difference for people who are suffering. Would definitely recommend!" "Very knowledgeable, informative and helpful staff! They make the whole process very simple, and easy. They take all the guessing out of it and navigate through the entire process in a timely manner. Thank you Liberate for your service to our community! Ms. Monali and staff are wonderful and made the overall experience very pleasant! Great doctor as well. I've never met such a down to earth md before. Very down to earth. I plan to definitely refer friends, and family!"